Energy-efficient doors and windows are just the beginning. Adding floor and window decor will also cut your heating costs. Chances are, your body isn't the only thing feeling the effects of colder temperatures these days. Consider your poor wallet when the heating bill rises! But with a few home improvements, you can get your winter bills under control. Here's a list of projects to get you started. Are small gaps around your windows, doors, or fireplace allowing cool air to seep in? How about gaps in the floors, walls, or ceiling? By using caulk, weatherstripping, or spray foam to seal air leaks in your home, you could get 5% to 30% in potential energy savings each year, according to the U.S. Department of Energy. Concerned about the cost? Don't be. Select brands of weatherstripping sell for under $10 per unit, and a caulk gun and tube of caulk shouldn't cost you more than $25. Plus, you can snag a can of spray foam for between $5 and $15. If money's tight, you probably can't afford to swap out your older windows for more durable and energy-efficient ones. (If you want to look into upgrading your windows, there's more on that shortly). But you can install heavy drapery to prevent outside air drafts from permeating your home. In fact, when you keep draperies drawn during cold weather, it can reduce heat loss from a warm room by up to 10%, the Department of Energy notes. And that equates to cost savings on your heating bill. Window drapes don't have to cost a fortune, especially if you buy them from a big-box retailer with tons of options and price points. Do you prefer to walk around your home barefoot? In the winter months, invest in thick area rugs to make those frequent strolls more comfortable. And you won't have to crank up the heat to get your hardwood, laminate, or tile floors to warm up. Invest in thick area rugs, and you won't have to crank up the heat to get your floors to warm up. You can score oversized area rugs starting around $100. But consider visiting discount retailers like Ross, Marshalls, and HomeGoods to find rugs that complement your decor. Walmart is another option. Or you can head to the nearest furniture store, as it'll probably have many rugs in stock or ones you can order online — though expect to pay hundreds more. About 25% to 40% of conditioned air is lost because of leaks, according to Consumer Reports. So, sealing your ducts sooner rather than later is highly recommended. You can use tape to DIY, or hire a professional to do the job using Aeroseal technology to maximize savings, up to $850 annually. The latter will cost you anywhere between $1,500 and $2,500, or you can roll with the tape for well under $100. 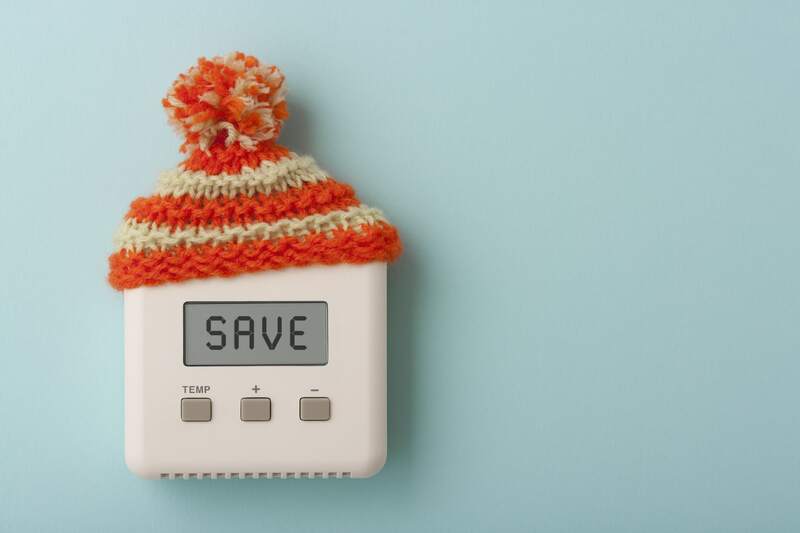 Invest in a programmable thermostat to control when and how hard your heating unit works, and to regulate the temperature in your home even when you're away. It's also a cost-efficient way to curb heating costs, and installation is a breeze. Programmable thermostats start around $15 and go up from there, depending on the brand and features of the unit. Quick note: The Department of Energy recommends "turning your thermostat back 10% to 15% for 8 hours" to lower your heating and cooling bills by up to 10% annually. 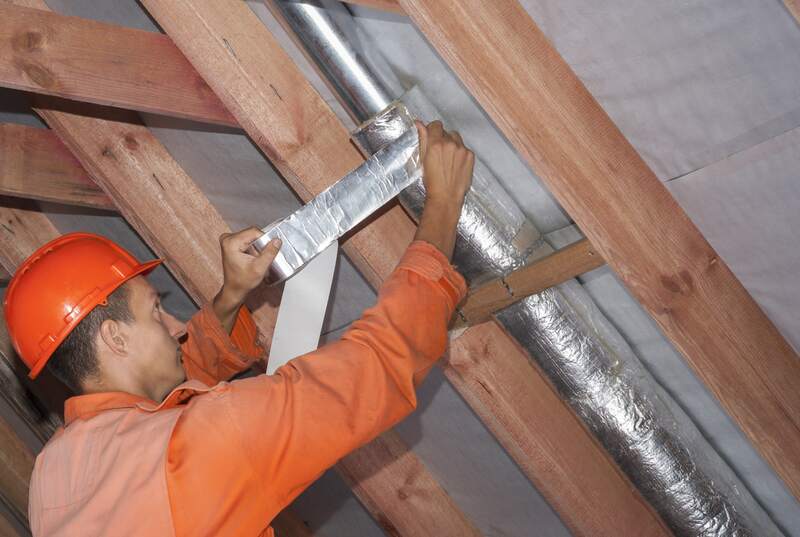 Improperly insulated attics and floor openings could also cause astronomical heating bills. "In winter, heat flows directly from all heated living spaces to adjacent unheated attics, garages, basements, and even to the outdoors," the Department of Energy notes. It can also move indirectly through ceilings, floors, and walls. And if any heat is lost, your heating system has to pick up the slack. But if you properly insulate your home, that can provide a resistance to — and thereby decrease — this flow of heat. Indeed, increasing insulation is "one of the fastest and most cost-effective ways to reduce energy waste," according to the Department of Energy. You can expect to pay $1,700 to $2,000 to insulate an attic, or between $1.42 and $1.67 for each square foot, according to Fixr.com. Insulated, energy-efficient doors and windows stop the cool air from easing in and dropping your home's temperature. (Insulated garage doors are also ideal if you spend a lot of time in the garage or open the door frequently to retrieve items). Installing exterior low-e storm windows can save you up to 33% a year on heating and cooling bills. Consider investing in wood or aluminum models to keep the cold air outside and lower your heating bill. In fact, installing exterior low-e storm windows can save you up to 33% annually on heating and cooling bills, per the Department of Energy. The cost of installing energy-efficient doors and windows can be steep, though. "With labor, you're looking at about $270 to $800+ per window," the National Association of Realtors notes. What about a new front door? A basic steel door will cost $1,500, while the cost of a fiberglass door will go from $2,000 to $2,500, according to one sales consultant at a window and door company. However, he also notes that the average door installation costs $5,000. If your system is running too hard and struggling to heat up your home, it may be on the brink of breaking down. Even worse, it could cost you hundreds — if not thousands — to get things up and running. Alternatively, you can buy a maintenance agreement with a reputable HVAC company to have your unit serviced annually. The cost shouldn't exceed $200, and a technician will come out once a year to inspect your unit, ensuring it's functioning properly and providing the essential maintenance. 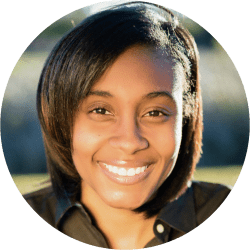 Some contracts also cover house calls if you suspect an issue with your heating unit between the service period, and extend a flat-rate discount should you decide to take care of the repairs that are needed. Readers, what are your best tips for lowering heating bills in the winter? Please share them in the comments below. Agreed...Installed a full view storm door this past spring for Mother's day gift [gift of sunlight = warmth = lower thermostat settings]. But the largest savings has come from the installation of Alexa equipment [wall switches, light bulbs, outlet adapters and others] which has saved us, on average, approximately $50/mo. for the last 6 months.